Exceptional master classes with outstanding professors in the beautiful setting of the Swiss Alps. Gstaad Academy offers a wide range of master classes addressed to young professionals, as well as courses which are aimed at amateur players of all ages. 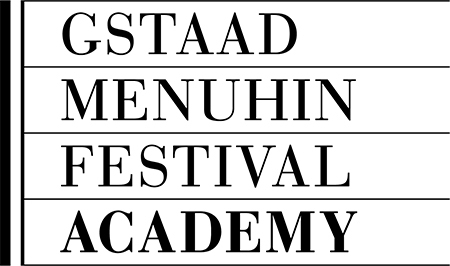 You can choose from a selection of customised master classes with opportunities of high-profile performance, while enjoying the platform of a leading international music festival - the Gstaad Menuhin Festival (www.gstaadmenuhinfestival.ch). The Conducting Academy offers young and promising conductors a unique opportunity of working for three weeks with a professional orchestra - the Gstaad Festival Orchestra - under the tutelage of world-famous expert conductors such as Manfred Honeck and Johannes Schlaefli. At the String Academy, excellent teachers like Ana Chumachenco, Ettore Causa or Ivan Monighetti share their knowledge and longstanding experience in one-to-one lessons. Of particular value for the students is furthermore the opportunity to perform alongside their professors in a final chamber music concert. At the Vocal Academy, Silvana Bazzoni Bartoli, opera singer and eminent pedagogue - as well as Cecilia Bartoli's mother and sole vocal coach - teaches a thoroughgoing technique based on traditional Italian schools. Maurice Steger, professor for early music and recorder, offers support which is truly comprehensive, whether with suggestions with regard to technique, sharing his profound knowledge of music history, as well as promoting the social structure of groups. Guided by a team of professors headed by Maurice Steger, the Baroque Academy is for many young musicians the peak of their year. The Menuhin Festival, with its amateur and its youth orchestra week, offers amateur players of all ages the experience of playing in a large symphonic orchestra. Refer to website for costs related to travel, meals and accommodations.